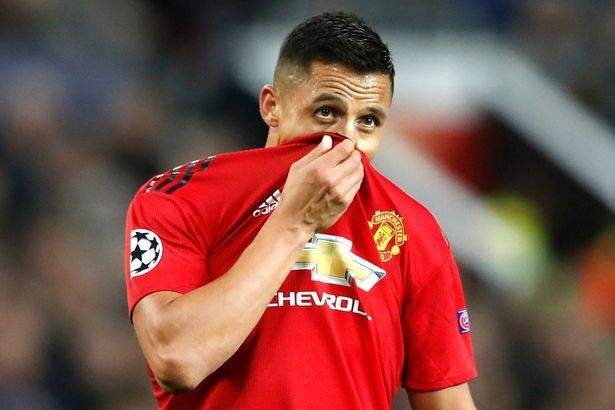 Manchester United star, Alexis Sanchez has reached a final decision on his stay at the club. The Chilean has told his friends he will leave the club after his latest snub from manager Jose Mourinho, according to Daily Star. Sanchez arrived at Old Trafford last January but is already pushing for an exit with his relationship with Mourinho at break point. The Chilean international has been benched by Mourinho many times this season. The newspaper reports that he was 'raging' after being dropped from the squad for the Champions League victory over Young Boys. According to the report, this snub has strengthened player's desire to leave as he cannot see a future at Manchester United under Mourinho. The 29-year-old has told friends he will quit the United and join French champions Paris Saint-Germain. Speaking after United's dramatic 1-0 win over Young Boys, Mourinho confirmed Sanchez was not injured despite not making the squad. "Sanchez is not injured," the under-fire Manchester United manager post match conference. "It's quite curious because you always speak about the ones that are not playing. "Tonight you had Marcus Rashford playing as a No.9 - that's what you want, that's what you ask for all the time. "You say Lukaku hasn't scored a goal at Old Trafford since March, then you ask why he's not playing. "For me, everyone on the pitch, some for 90 minutes, others like Juan Mata for 15 or 20, gave everything, and I was happy with their attitude."